As an agent of chaos, US President Donald Trump is keeping busy. Last week’s announcement that tariffs will be imposed on steel and aluminium imports – 25 percent on the former, 10 percent on the latter – has not gone down well with various trading partners. The Chinese, as ever, are playing a middling game, while Mexico and Canada fume. The European Union is focusing on specific US products to bruise. Allies such as Australia have been left scratching for clarity, aggrieved that friendships matter less than populist politics. To these can be added a smorgasbord of aggressive suggestions waged from the platform of Twitter by the US Commander-in Chief, all having one distinct register: the inequality supposedly inherent in global trade vis-à-vis the US. The issue with Mexico and Canada is further complicated by Trump’s insistence on Monday that the tariffs be linked to negotiating a new trade pact that would reshape NAFTA. Shaped as such, a tariff regime on steel and aluminium would effectively become hammers of persuasive force. The free traders and pushers are the ones who have been left baffled, even if it had been churning in the works from 2016. Opposition from the market wing within the GOP, one hostile to the populist heartbeat, is trenchant, though these are the same individuals who have failed to sell a palatable vision of economic success to a lost America. A spokeswoman for Paul D. Ryan, the Republican House speaker, pushed the unmistakable line that Trump was fanning the flames of an inevitable global trade confrontation. Other conservatives have engaged in nail biting exercises of concern. David Frum, who sees the republic being nibbled and gnawed to death by The Donald, is reminded of previous tariff onslaughts that yielded impoverished returns. 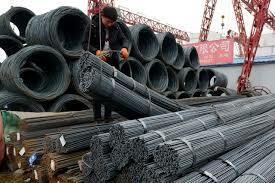 To engage them is to engage in cost raising exercises beyond specific products such as aluminium and steel. Whether it is vacations, apartment rentals, beer or cars, the unpleasant, monetary knock-on will be felt. Frum also reminds readers of another parallel: that Trump’s moves echo another form of opportunistic nostalgia, that of the Nixon era when the Bretton Woods agreement was abandoned and a surtax imposed on all imports. The policy had less to do with economic prudence than electoral object: winning the 1972 election. This did not mean, assured Navarro, that certain exemptions on products would not apply. The scramble for seeking favourable treatment is already on. Merely because Trump has done the unpardonable for free market ideologues does not mean that market players are stuck. He remains the president of the corporation. Australia’s own major steel exporter, BlueScope, may well get a kind nod from regulators given its presence in the US, notably California, which receives its product. Weakly, the political figures of US allies are hoping to draw upon the capital of friendship in winding back Trump’s policies. “We have no eternal allies, and we have no perpetual enemies. Our interests are eternal and perpetual, and those interests it is our duty to follow”. Forget, in other words, the immutable construct of friendship and geniality on the international stage. Revise friendships and alliances. For policies on tariffs to change from a US perspective domestic, not international concerns, will matter most.